Don’t Miss These Must-See Gems of Germany! Considering the fact that Germany (aka Deutschland) is the 7th largest country by area in Europe and the 62nd largest in the world, planning a trip that will provide a complete experience of everything this gorgeous country has to offer can be an overwhelming task. There are so many things to see and do! With the stunning Alps in the south, a plethora of lakes, rivers, and waterfalls, a stunning coastline, spectacular ancient architecture, and bustling cities, Germany really does have it all. We spent several weeks touring Germany in a motorhome and came away with more than a few amazing recommendations. Our absolute favorite experiences in Germany included; gazing at the picturesque bridges, wandering though the medieval castles, hiking through the scenic gorges, drinking delicious local wine, and celebrating German tradition at the festivals! So when you’re ready to plan your vacation be sure to add a few of these amazing places in Germany to your itinerary! 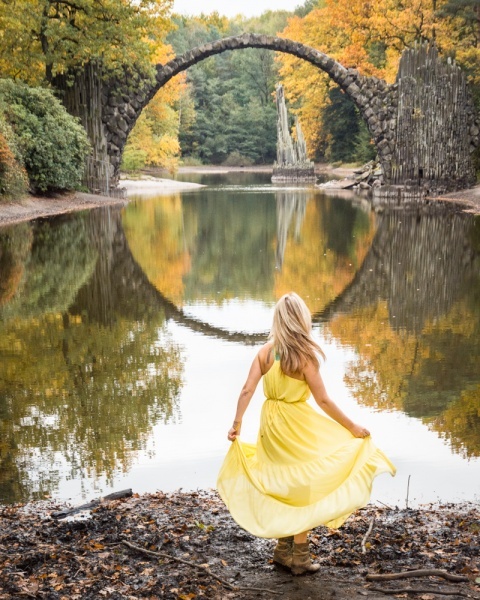 Located in the Azalea and Rhododendron Park about 100 miles southeast of Berlin, you’ll find Germany’s most beautiful bridge, Rakotzbrücke (aka Devil’s Bridge). Commissioned in 1860 by the Knight of Kromlau, the bridge is a perfect half circle that was built from local stone. Combined with the reflection of the Rakotzsee Lake below, this particular devil’s bridge creates the optical illusion of a full and perfect stone circle. When the water is still, the circular optical illusion remains the same regardless of your observation point. Many bridges across Europe are similarly referred to as “devil’s bridges” because it was believed that they were so dangerous or miraculous that they must have been constructed by the devil himself. We know that wasn’t the case but it’s definitely clear that the Knight of Kromlau wasn’t concerned about constructing a bridge that was actually useful – the steep sides would make it incredibly difficult for anyone to cross. Parking: €3,00 for the first 2 hours then €1,00 for each additional hour. Accessibility: The bridge is just a short, 10 minute walk from the parking lot on the side of road. You can choose to view the bridge from the most well-known observation point, or take the path around the lake to view this spectacular fete from all angles. A labyrinth of sandstone pillars, referred to as The Bastei, tower above the Elbe River Valley in the Saxon Switzerland region of Germany. And on top of those pillars stand ancient fortresses. The Felsenburg Neurathen was a fortress that was built in the 11th century and was a force to reckon with until it was burned in 1484 by army forces. Very little remains of the ruins although you can walk through the area and get a sense of where various rooms were and what purpose they served. 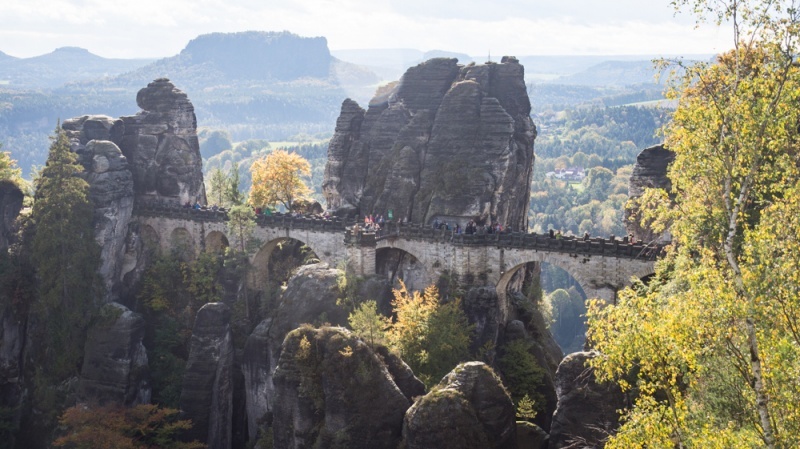 But the real reason that tourists flock to this area is the Basteibrücke (aka Bastei Bridge) that links the formations and for the panoramic views of the valley below. The original Bastei Bridge was constructed in 1824 as a wooden bridge to accommodate landscape photography of the majestic views. It was rebuilt out of sandstone 27 years later as word got out about this remarkable area and the old wooden bridge wasn’t sturdy enough for all of the visitors. It is 250 feet long, spans a ravine that is 130 feet deep, and has seven picturesque arches that add to it’s idyllic setting. Parking: There are several parking lots leading up to the Bastei but regardless of where you park, you’ll have a bit of a walk. The fee is €3,00 for up to 3 hours and €5,50 if you plan to stay longer. Entrance Fee: There is no charge to enter the Bastei area or to cross the Bastei bridge. If you would like to explore the Felsenburg Neurathen ruins within the compound, you’ll need to pay a small fee. Hours: There are no opening or closing times and is accessible 24/7. 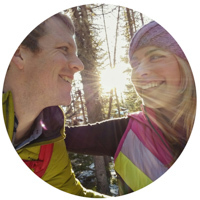 Accessibility: There are a variety of walking paths in the area – most are fairly flat. You can hike for as long or as little as you please. 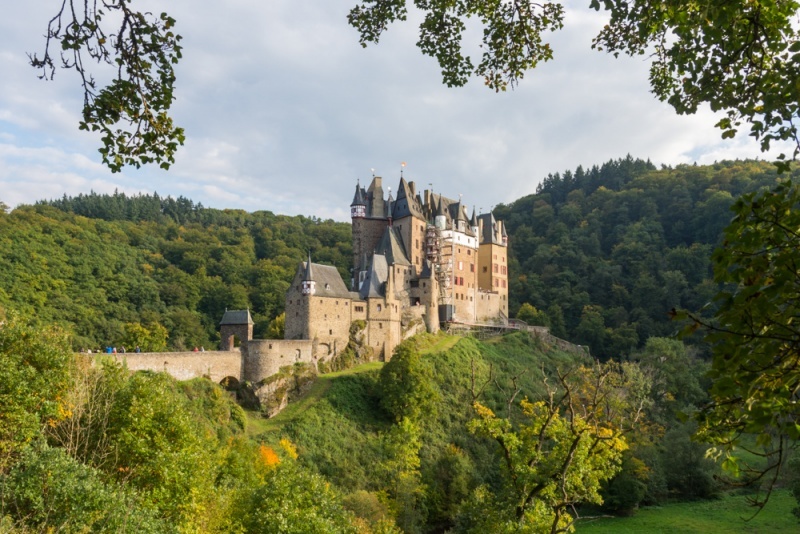 The 850 year-old Burg Eltz (Eltz Castle) sits high in the hills above the Elzbach River just outside of the town of Münstermaifeld in Western Germany. The castle is referred to as a “Ganerbenburg” which is a castle belonging to a community of joint heirs. 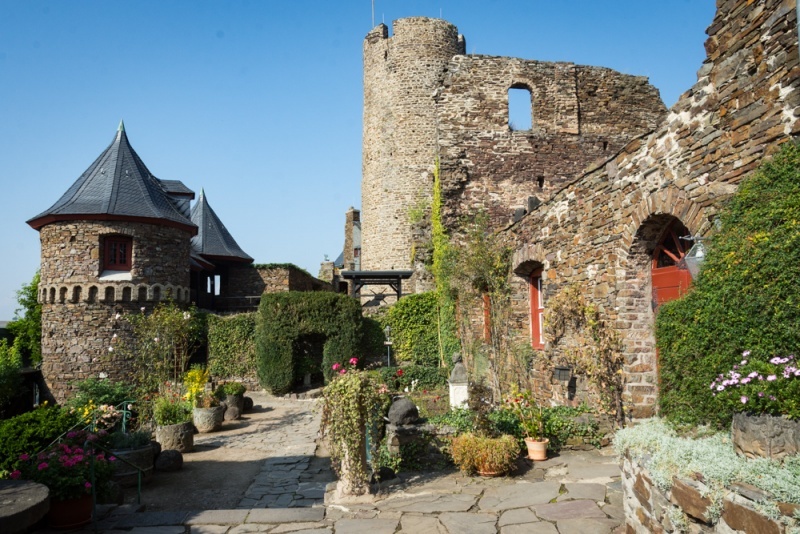 It was divided into several parts as it was owned by different families and over 100 members of the owners families occupied the rooms of the castle. It is one of the few European castles that escaped destruction despite an eventful history. Parking: There is a large parking lot where cars can park for €2,00 and motorhomes will pay €4,00. Entrance Fee: Visitors can opt for a guided tour on the castle interior and the treasury for €10,00/person. Tours begin every 10-15 minutes and take about 40 minutes. There is no charge to wander around the castle grounds or to enjoy the cafe inside the castle walls. Hours: The castle is open to the public daily from 9:30am to 5:30pm from April through the end of October. Accessibility: From the parking lot visitors can choose the easy ~1 mile walking path to the castle or opt for the shuttle for €2,00/person. If you have time… Across the river you’ll find the spectacular Burg Thurant (Thurant Castle) surrounded by vineyards and offering beautiful views of the river below. There’s a small fee to enter but it’s worth it to see the bizarre torture contraptions and the dungeon complete with what appear to be actual human bones! King Ludwig II, crowned king of Bavaria in 1864, built several ostentatious castles during his rule. 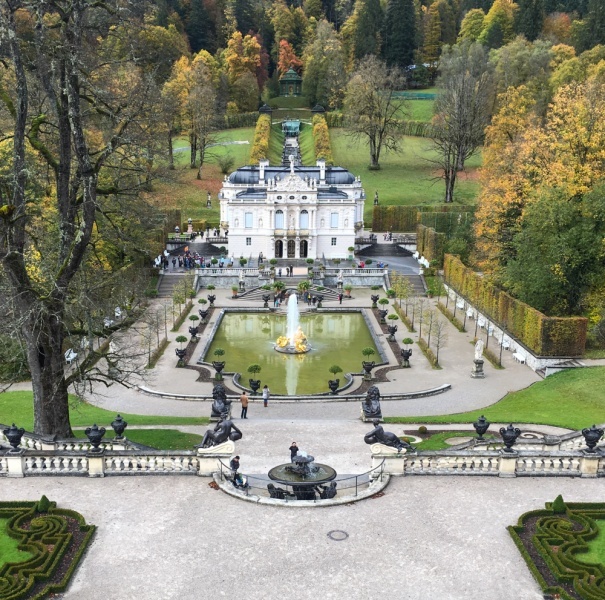 His “summer home” was the gorgeous Linderhof Palace which was modeled after the Palace of Versailles. The palace exterior is spectacular, as are the gardens, but the interior of the castle is truly a sight to behold. Since Ludwig didn’t like to be bothered by his servants during his meals, the dining room table (that was only large enough for one) could be lowered to the floor below so that the servants could set the table and then hoist it back up to the king awaiting his dinner without being seen! Parking: There is a large parking lot with a small fee based on the amount of time you plan to spend at the palace. Entrance Fee: A 25-minute guided tour of the interior of the palace is available in a variety of languages throughout the day for €8.50/person. Hours: Open daily from 9:00am – 6:00pm from March 24 – October 15 and daily from 10:00am – 4:00pm from October 16 – March 23. Accessibility: It is a short, easy walk from the parking lot to the ticket booth and then from there to the palace. One of the best places to visit in Bavaria, the awe-inspiring Neuschwanstein Castle was constructed by King Ludwig II in 1886 as he was a shy king and wanted to withdraw from the public eye. Little did he know that his private castle would be visited by 1.4 million people annually! Prince Ludwig was only 18 when his father succumbed to a 3-day illness, making him the crowned king of Bavaria. He was a very controversial king during his 22-year reign as he spent all of his royal revenues on extravagant palaces where he could retreat and focus on his passions – art, music, and architecture. He never married, although he was engaged for a time but kept postponing his wedding until he eventually called it off. It is known from his diary and private letters that he has strong homosexual desires that he struggled to suppress due to his Roman Catholic faith. All of the extravagant purchases were eventually used to deposition him under the claim that he was insane. on June 10, 1886 a government commission arrived at Neuschwanstein to deliver the document of deposition to the king formally and to place him in custody. After futile escape attempts, he was found dead on June 13, 1886 – his death officially ruled a suicide by drowning (although the autopsy report indicated no water was found in his lungs and his body was found in only waist-deep water). In the valley below is the massive but somehow less ostentatious Hohenschwangau Castle which was built by King Ludwig II’s father and was his childhood home. Entrance Fees: Entrance tickets are available only at the Ticketcenter Hohenschwangau in the village of Hohenschwangau below the castle. Arrive to the ticket office early to purchase your tour tickets as they sell out quickly (or purchase in advance). You will be given a specific tour time and you’ll need to make your way up the hill to the castle. 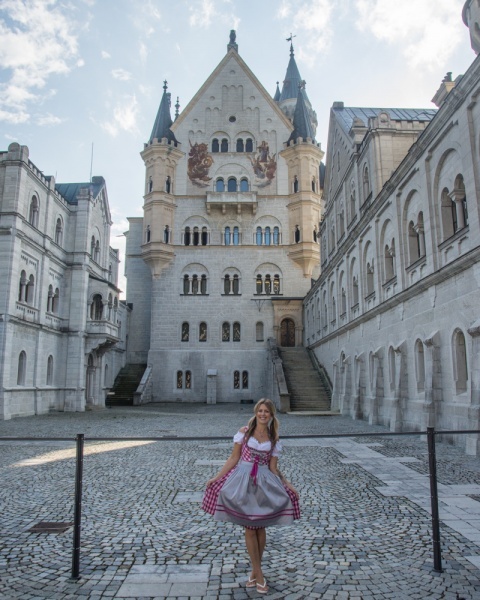 The entrance fee is €13,00/person for the one castle or €25,00 to tour both Neuschwanstein and Hohenschwangau. 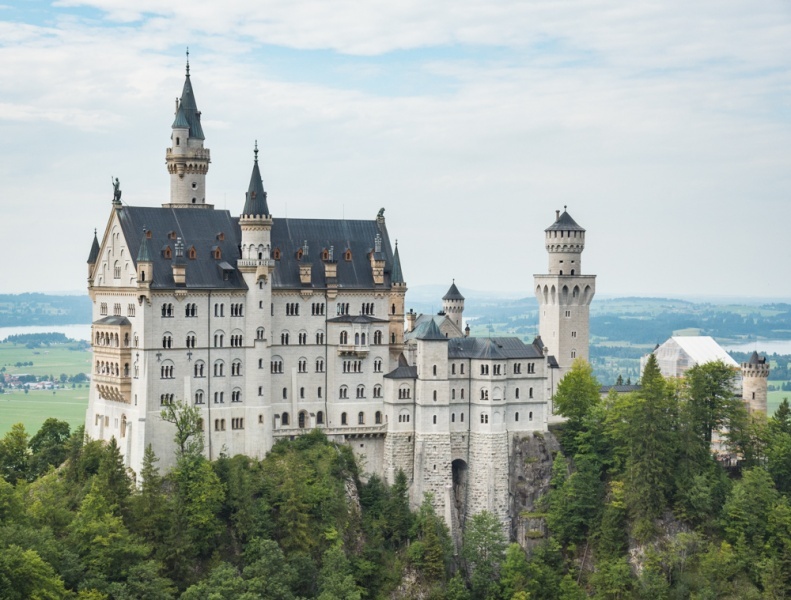 Accessibility: Neuschwanstein Castle is one of the highlights of Germany’s Romantic Road and one of the best day trips from Munich. It’s just a 2-hour drive south to the quaint Bavarian town of Schwangau. After parking in town, it’s a 30-minute uphill walk to the castle itself, or you can opt for a shuttle bus ride or a horse-drawn carriage ride (but keep in mind that these fill up fast!). 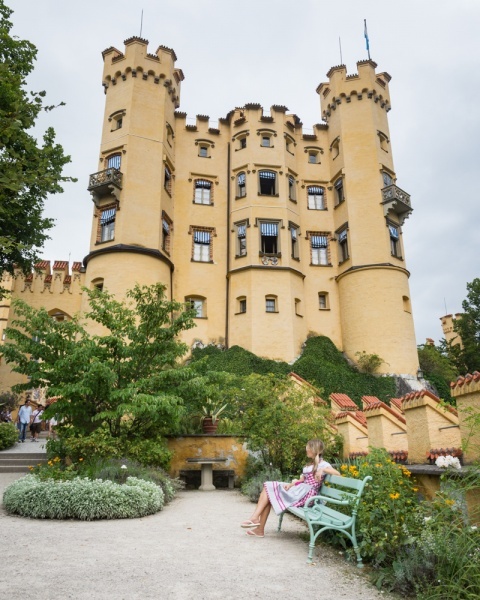 Make sure you arrive at the castle about an hour before your tour time so you can continue your walk up to the Marienbrücke that overlooks the backside of the castle! This spectacular gorge was formed by the Partnach River which cut a 262-foot deep crevasse into the rock. Waterfalls tumble over the steep walls rising hundreds of feet above you on either side of this narrow gorge that was declared a natural monument in 1912. The waterfalls cascading into the roaring river during the warmer months turn into curtains of ice during the winter months and guided torchlit hikes are available. 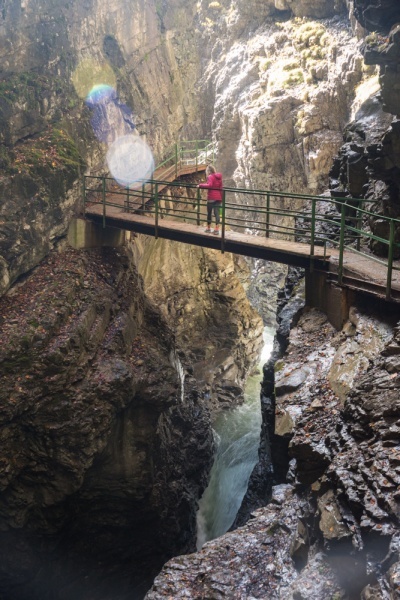 The first half of the Partnach Gorge hike is fairly flat and takes you through several caves that run alongside the Partnach river with waterfalls overhead. Stop frequently to soak in all of your surroundings, you’ll be surprised by just how many waterfalls there are along the way. Once you reach the end of the gorge hike, turn left to head uphill which turns the hike into a loop. The walk up is steep but once at the top you’ll be rewarded with stunning views of the Alps and even a quaint biergarten where you can rest your weary legs while enjoying a refreshing beer. Be sure to take a ride on the alpine slide before you leave the area! Parking: A small fee based on the amount of time you plan to spend in the park. Entrance Fee: €4,00/person to enter the gorge. Hours: Open daily from 8:00am – 6:00pm from during May – June and in October, daily from 8:00am – 7:00pm from July – September, and 9:00am – 6:00pm from November – April. Accessibility: There is a large parking lot at the Olympic Ski Stadium (Olympia Skistadion Ausstellung). From there it’s about a half of a mile to the start of the Partnachklamm (Partnach Gorge) hike. If you’d prefer, a horse-drawn carriage ride is also available for charge. 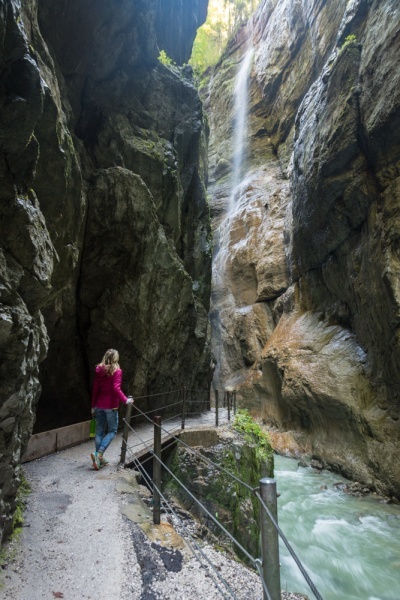 Right outside of the small town of Oberstdorf is one of the deepest ravines in Central Europe – Breitachklamm (Breitach Gorge). Thousands of years of erosion by the River Breitach has caused this deep and narrow gorge with rock walls rising over 300 feet above you. The hike has a rather non-eventful beginning but as you venture deeper and deeper into the gorge, the walls get narrower and the water below appears more and more treacherous. As with the Partnach Gorge, the winter weather at Breitach brings with it tremendous ice formations that can be viewed during a guided tour by torchlight. Breitach Gorge is an easy, reasonably flat 1.5 mile one-way hike. Once you reach the end there are several options for your return trip but we would recommend going back the way you came. Parking: There is a parking lot attendant that charges a small fee per car to park. Hours: Open daily from 9:00am – 6:00pm (last admission at 5:00pm) in the summer months but closes an hour early, at 5:00pm in the winter months. Most people already know that Germany is famous for their beer (and respective biergartens) but find it rather surprising that it is also home to some spectacular wineries and delicious vino! 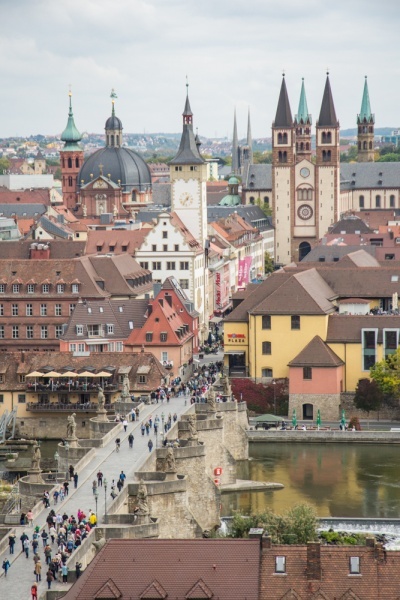 While you’ll find wineries all over southern Germany, the real gem of the region is Würzburg; arguably one of the most beautiful towns in Germany. The town itself offers a plethora of activities that you can do sans vino (or while sipping vino) so take a day or two to explore. Hike up to the Marienberg Fortress – the prominent landmark looming over the bank of the river. Loop around the castle so you pass through the grapevines on your trek back to the city center. Head across the Old Bridge (the Alte Mainbrücke) where you can get a glass of wine to-go (with a small deposit on the glass) to enjoy while you marvel at the statues along the picturesque bridge. 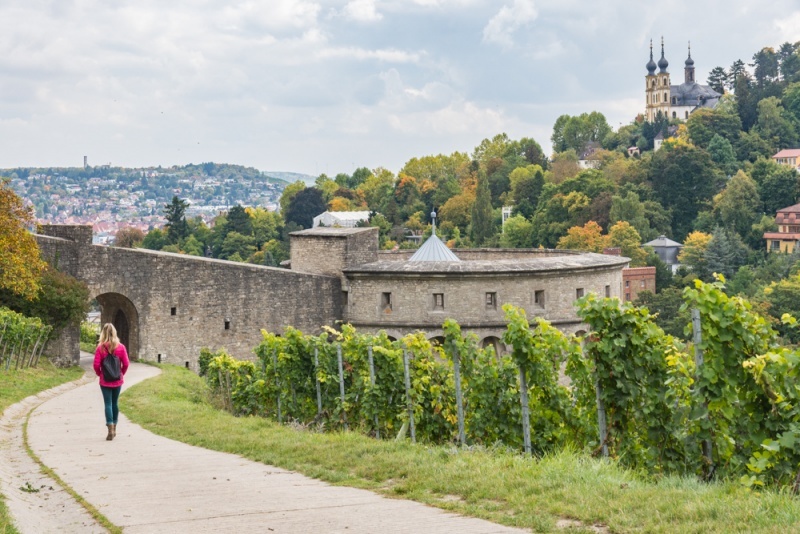 There are several wonderful wineries in the area but our favorite is Weingut Am Stein where you can stroll through the steep grapevines overlooking the beautiful city below. They offer tastings of their delicious wines while providing you with helpful information on their organic wine-growing operation. Pick up a bottle of the Würzburger Silvaner – perfect for a sunny afternoon! 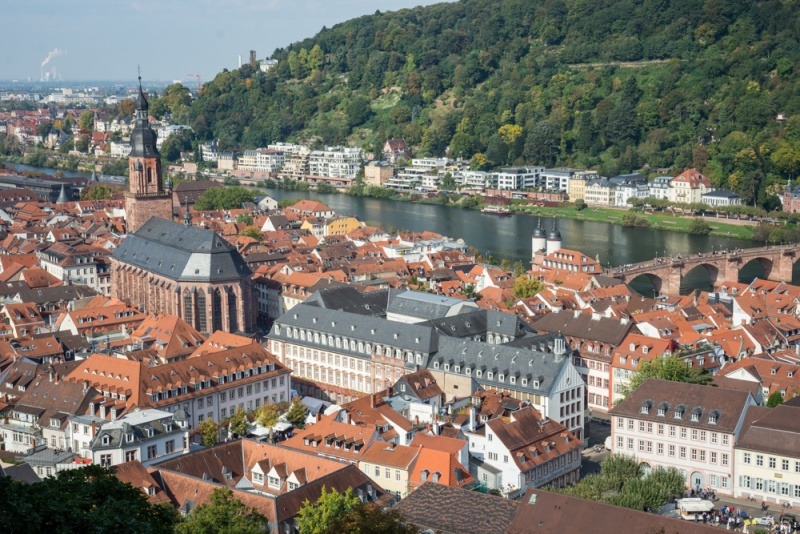 The lovely, quaint, Baroque-style town of Heidelberg is situated on the banks of the River Neckar. Here you’ll find winding pedestrian cobblestone streets, delicious cuisine, cute local handmade crafts, and of course, plenty of wine. Be sure to check out the impressive Heidelberg Palace which sits high above the city and is an easy walk to the top from the center of town. The palace houses the Great Heidelberg Tun which is a giant wine vat contained within the cellars. Constructed in 1751, this vat originally had the capacity of over 58,000 gallons but the drying of the wood has reduced that a bit, by just under 1,000 gallons. It is reported that 130 oak trees gave their tree lives to make this wine-lovers dream a reality. Oktoberfest its the largest beer festival in the world and as confusing as it’s name may be, the official dates are from late September to the first weekend in October. While German bars in cities all over the world celebrate Oktoberfest, the official headquarters of the festival is Munich, Bavaria, Germany. The festival originated in 1810 when King Ludwig I married Princess Therese of Saxe-Hildburghausen and the citizens of Munich were invited to attend the festivities of the royal event. Since it’s beginning it has only not been celebrated 24 times including between 1939 and 1945 during World War II. Now more than 6 million people travel from all over the world every year to check this massive festival off of their bucket lists. And while beer certainly takes center stage during this rowdy event, there is more to Oktoberfest than drinking beer and dancing on tables. 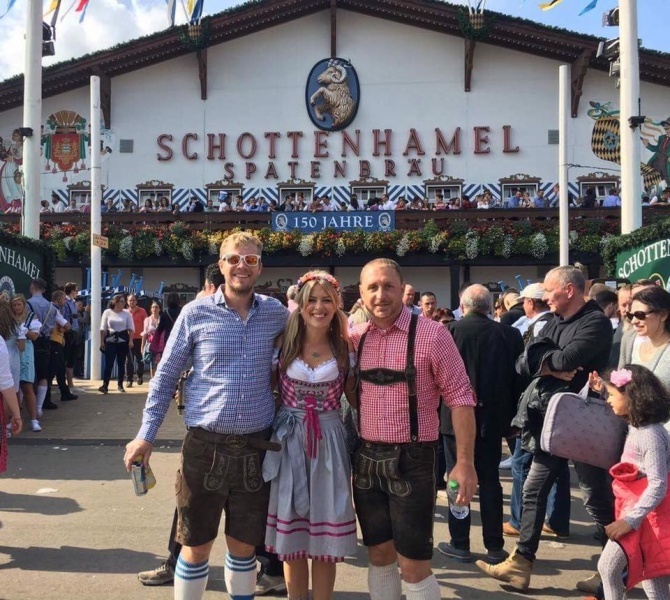 The grounds are massive and are filled with carnival rides, huge beer tents, restaurants, outdoor beer gardens, and thousands of locals and tourists dressed in typical Bavarian attire. Attending Oktoberfest is definitely one of the best things to do in Germany! Dress like a Bavarian! If you’re not wearing a lederhosen or a dirndl you’ll feel out of place. If you decide to stand on a table to chug your beer, you’d better plan on finishing it. Otherwise everyone around you will pelt you with their leftover chicken or whatever other disposable items they have laying around. Bring cash and expect to tip. In fact, everyone working the event expects a massive tip (and many get vocal about it). No one actually eats the heart-shaped cookies. If you feel even an inkling in your bladder, best to make your way to the bathroom. There will always be a line, trust me. Beer Serving Hours: Weekdays 10:00am – 10:30pm, Saturdays and Sundays 9:00am – 10:30pm. The festival closes at 12.30am daily. The Cologne Carnival is one of the largest street festivals in all of Europe and takes place annually in Cologne, Germany. Officially beginning at 11:11 on the 11th of November (the 11th month), it doesn’t really take off until the Thursday before the beginning of Lent. That time period is referred to as “the crazy days” and includes a street carnival and general masqueraded ruckus in and around Alter Markt square in downtown Cologne (and in pretty much every pub around town). The climax of the festival is Rose Monday which includes a large official parade filled with thousands of people in colorful, elaborate costumes. Even if you’re not there for Carnival you’ll find loads of cool things to do in Cologne. Check out the insane amount of love locks on the Hohenzollern Bridge or test your sense of smell at the Farina Fragrance Museum. Entrance Fees: Admission costs for various balls and events vary. The balls range from “alternative” to “elegant” and everything in-between. Nothing warms the soul around the holiday like mulled wine (or as the Germans say, glühwein), gingerbread, lights strung up on trees, fuzzy woolen mittens, and, of course, hundreds of people competing for last minute deals at Walmart. Okay, that last one not so much. Holiday shopping is much more enjoyable when you are strolling down cobblestone streets in a quaint Bavarian town and browsing through local artisan handmade crafts. Dozens of European cities boast Christmas markets but you’ll find some of the best in Germany! Nuremberg Christkindlesmarkt – the medieval setting of Nuremberg’s Hauptmarkt square is the perfect backdrop for this Christmas market that dates back to 1628. You’ll only find handcrafted goods here (no mass produced items allowed), as well as delicious traditional German snacks (think sausage) and piping hot drinks to keep you warm. Dresden Striezelmarkt – boasting the world’s tallest Nutcracker and the oldest Christmas market (dating to 1434 to be precise), the Dresden Christmas market is a favorite among locals. Stuttgarter Weihnachtsmarkt – Around 300 vendors set up shop in one of the 5 squares in the pedestrian downtown area of Stuttgart for this massive Christmas market. They have a decoration competition which they take very seriously. There is even an outdoor ice skating rink – fun for the whole family! Entrance: Christmas markets are free to enter! Hours: Christmas markets generally take place from the end of November until around Christmas Eve. Did we miss any must-see German gems? Comment below so we can add them to the list!